Lok Sabha Polls: Hema Malini On Photo Ops: "Not The First Time I Sat On Tractor"
General Election 2019: On opposition's criticism that Hema Malini posed with farmers more for a photo opportunity, she said: "Do you think that I never went to the fields in the last five year? That time no one was there to click photos. 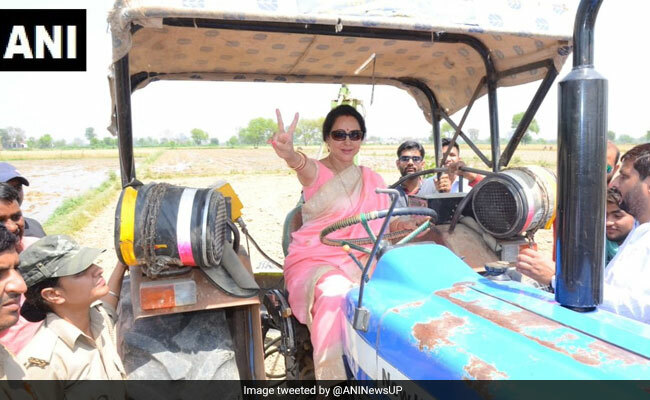 Lok Sabha Election 2019: Hema Malini was seated upon a tractor in her field visit to Mathura.